The recent illegal entry into Chinese territory by Indian border troops cannot be backed by any historic facts or legal basis, an expert pointed out on Saturday, adding that the real ulterior motives behind its groundless action is to finally “occupy” and “control” the area by creating new “disputed areas” in delimited section. Sun Hongnian, a researcher with Center of China’s Borderland History and Geography Research under the Chinese Academy of Social Sciences, unmasked the truth in a signed article published on People’s Daily, days after Indian troops illegally crossed the delimited Sikkim section of the China-India boundary and obstructed the normal activities of Chinese border troops in Doklam. What the Indian border guards did tramples on the international law and rules, stressed Sun, also researcher with Collaborative Innovation Center for Territorial Sovereignty and Maritime Rights. The historic facts over China, Bhutan and the Indian state of Sikkim, the three parties involved in the latest incident incited by India, are clear-cut, Sun noted. He further elaborated that conflicts never took place between China and Bhutan as both sides have been exercising their respective jurisdiction based on a traditional customary line. Sun reviewed that the boundary between China and the Sikkim state of India was demarcated as early as 1794, while the Britain began its incursions into Bhutan and Sikkim in the 18th century, and invaded China’s Tibet in 1888. 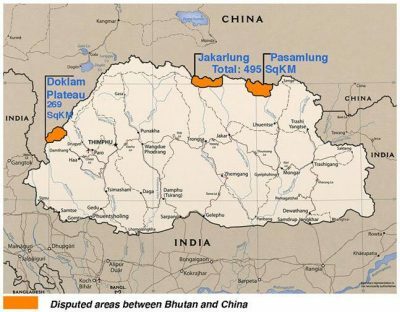 Sikkim section of the China-India border was defined in the Convention between Great Britain and China Relating to Sikkim and Tibet signed in 1890, according to the scholar, adding that the convention explicitly stipulates that Doklam undoubtedly belongs to China’s territory. The delimitation over the Sikkim section of the China-India border never changed since 1890, Sun emphasized, furthering that former Indian Prime Minister Jawaharlal Nehru confirmed several times, on behalf of the Indian government, that the Sikkim-Tibet border was defined by the 1890 convention. Abundant historic facts and legal basis have proven that Doklam has always been part of China’s territory and under its effective jurisdiction, the expert reiterated China’s position, adding that both China and Bhutan have a basic consensus on the functional conditions and demarcation of their border region. India’s actions came amid the recent rise of some forces who instigated the country to inherit the so-called “heritage” of the Great Britain by continuing “protecting” and controlling its neighbors in South Asia, Sun wrote in the article. Those advocates, upholding an outdated Cold War mentality, preached a tough attitude towards China, he further explained. In the eyes of those forces, India can seek a so-called “absolute security” of its Siliguri Corridor by creating new “disputed areas” in the delimited section of the China-India boundary and ultimately securing a long-term occupation, as the country now enjoys a friendly global atmosphere, according to the researcher. He added that by doing so, they hope to obstruct border negotiations between China and Bhutan, as a result, consolidate India’s “hegemony” in South Asian Sub-Continent. India is an initiator of the Five Principles of Peaceful Co-existence, but with an intention to seek “absolute security” of its Siliguri Corridor, it crossed into the Chinese territory by taking “protecting Bhutan” as an excuse, Sun criticized. The scholar added that Indian Prime Minister Narendra Modi once called on both sides to deal with ties with a strategic and long-term horizon, enhance strategic mutual trust and manage their divergences. What the trespassing troops did has tread on the commitments made by the Indian government, trampled on the international law and the basic norms governing international relations, and also severely damaged its images among the Chinese public, he highlighted. Persisting in addressing border disputes through bilateral peaceful negotiations, China has settled land border demarcation with 12 of its 14 neighbors, including Myanmar, Nepal, Afghanistan and Vietnam. Doklam is a part of China’s territory which is sacred and inviolable, the scholar stressed, reaffirming that firmly opposing the actions of the overstepping Indian troops, the Chinese people also object to the colonial rule based on which the stronger tyrannizes the weak while imposing imperative “protection” on neighbors. China has the rights to take all necessary measures to uphold its territorial sovereignty, he reiterated. 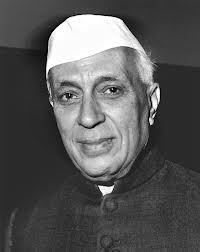 The correct way out for India is to abide by the provisions of the boundary convention and pull all of the troops that have crossed the boundary back to its own side immediately and unconditionally, Sun concluded at last.